Police in Bangor, Maine were called to the private home of Republican Senator Susan Collins on Monday after being alerted to a suspicious letter sent to the address. CBS affiliate WABI-TV reports police tape was seen blocking off access to the home as hazmat crews were seen investigating the property. Collins' husband reportedly received the letter but the senator had left the area on Monday to return to Washington, D.C. A spokesperson for Collins said the author of the letter claimed it contained the potentially deadly chemical ricin. "Senator Collins's husband, Mr. Daffron, their dog, and parts of their home were quarantined while the crime lab undertook an analysis of the premises. The affected areas have now been cleared, and Senator Collins and Mr. Daffron will be able to remain at home Monday night," Collins' spokesperson said in a statement on Monday. 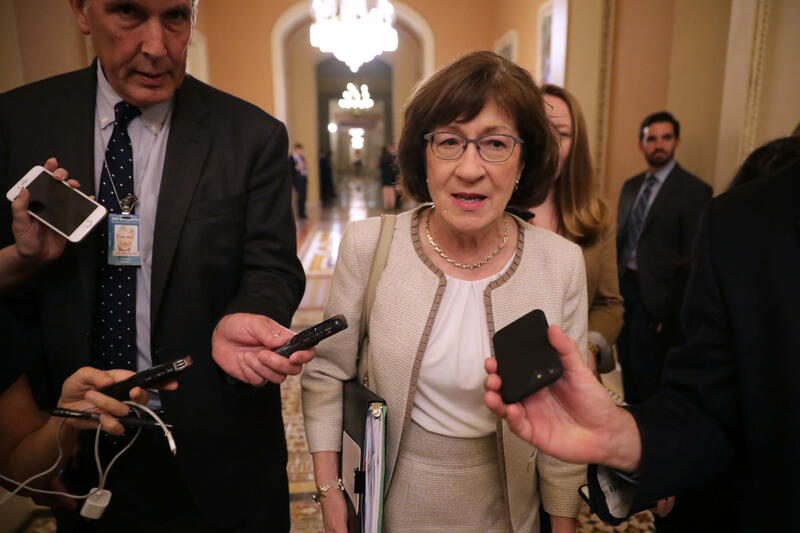 In a separate statement from the senator, Collins said the family was "grateful" for the quick and professional response the received from local authorities. "We are also truly appreciative of the many well wishes that we received today. Our friends and neighbors have been incredibly kind and have even offered to open their homes to us. We feel blessed to live in such a supportive community," Collins added. Envelopes sent to senior officials at the Pentagon tested positive for ricin earlier this month, including an envelope sent to Defense Secretary James Mattis. Collins has received a rash of criticism in the wake of the Brett Kavanaugh confirmation process. She said her "yes" vote on Kavanaugh's confirmation to the United States Supreme Court "ranks right up there" with the hardest votes she has ever cast in the senate. Her spokesperson said that the letter is just the latest in a "series of threats" against the Senator and her loved ones. Meanwhile, alumni and faculty at St. Lawrence University, Collins' alma mater, are calling on university officials to rescind an honorary degree awarded to her as punishment for voting to confirm Kavanaugh.